"A Moveable Feast," contain an apology from Papa to his first wife, Hadley Richardson Hemingway, whom he married in 1921 and divorced in 1926. Other editions of the memoir, especially the one edited by his fourth and last wife, Mary and published in 1964, omit the apology, and some friends of Hemingway say that's what Papa wanted. Other people disagree. That's what helps produce future PhD's! I'm always suspicious of memoirs and doubly, even triply, suspicious of posthumous ones like "A Moveable Feast." 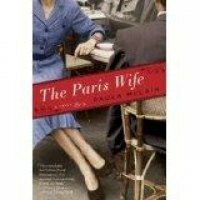 I hope Hemingway was sorry for his treatment of Hadley and so does Paula McLain who gives us a wonderful tour de force novel with "The Paris Wife" (Ballantine Books, 336 pages, $25.00) about their courtship, marriage and life in Paris, Spain, the Austrian alps and elsewhere in Europe in the 1920s. Devouring "The Paris Wife" was a natural for me as an English major and admirer of Hemingway's writing, if not his attitude toward women. In the publicity material accompanying the review copy and in the book itself McLain cited "A Moveable Feast" published after Hemingway's suicide in 1961, as well as "The Sun Also Rises" and his story collection "In Our Time." I've read and admired Hemingway's reporting and war correspondence and I have a collection of the latter. Born in the Chicago suburb of Oak Park, Illinois in 1899, he was eight years younger than Hadley when they met in 1920 in Chicago. In an e-mail to a publicist discussing the novel, I mused why would women be attracted to a guy they knew for sure would stray. The publicist, a woman, asked "have you seen photos of the young Ernest?" I have and I see her point. He was beyond movie-star handsome and women are just as shallow as men, especially an older, attractive but not particularly glamorous woman like Hadley. Hadley was the youngest daughter of a St. Louis family and she and the Papa-to-be wed in 1921. She gave birth to to Hemingway's eldest son, John Hadley Nicanor "Jack" Hemingway in 1923 (his childhood nickname was "Bumby" and Mariel and Margaux Hemingway were his daughters. Jack Hemingway died in 2000). Hadley and Ernest divorced in 1926 following Hadley's discovery of Hemingway's love affair with her friend Pauline Pfeiffer, who became Hemingway's second wife and the mother of two more of their sons Patrick, born in 1928 and still alive, and Gregory, later known as Gloria, 1931-2001. Maybe not surprisingly, Pauline was four years older than Papa (she lived from 1895 to 1951). In a 1926 letter to Hadley, he apologized for hurting her and called her "the best and truest and loveliest person that I have ever known." McLain covers the Paris period very well, with incisive portraits of Gertrude Stein, Alice B. Toklas, Scott and Zelda Fitzgerald, Gerald and Sara Murphy, Ezra Pound and his female entourage, the glamorous, talented and well-to-do Pauline Pfeiffer, etc. Most of the narrative is in Hadley's voice, but some -- italicized by the author -- are in the voice of Ernest. The interplay over the lost manuscript incident, where Hadley lost both the originals and carbons of several of Hemingway's stories while he was on assignment in Switzerland is covered particularly well, as are the events leading to the marriage's break up. A review recounting the events of the novel in detail would constitute a spoiler, so I'm suggesting that you get your hands on "The Paris Wife" and immerse yourself in an incredibly creative period in world literature. Here's a minor spoiler of sorts: Readers will be delighted to learn that Hadley's story has a happy ending: In 1933 she married a second time to journalist Paul Scott Mowrer, whom she met in Paris. They had a long and satisfying marriage and she died in Lakeland, Florida in 1979.